If you’ve ever had a payday loan, chances are you’ve had multiple. They’re a trap that’s too easy to fall into and too hard to get out of. The easiest way to stay out of the payday loan trap is by avoiding needing payday loans in the first place. Payday loans are typically used when you need quick cash fast, in between paychecks. They’re used as a buffer for financial emergencies or when you’re short on cash. There’s hundreds of reasons why people resort to payday loans, but there’s even more reasons why you should avoiding needing quick cash payday loans in the first place. 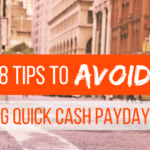 So, today we’re sharing 8 ways to avoid needing payday loans and solutions for getting through financial hardships. Create a budget that’s based on your monthly income and works with your monthly bills and financial needs. 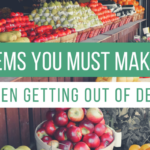 It’s easy to overspend when you’re not aware of how much you’re bringing in and how much is going out every single month. And overspending leads to financial troubles … not having enough to pay the bills, running out of groceries before your next paycheck comes in, and having little to no money to your name. Creating a set budget gives you peace of mind and shows you how much money you actually have to spend each month. Write down how much money you bring in every month. Then, make a list of all of your bills from most important to least important. For instance, it’s more important that you pay your power bill than your credit card. Then, make a list of all other variable expenses (gas, groceries, health care, clothing, etc.). Start allocating your income to each bill and expense category. You can only spend as much as you make! A budget helps keep you on track. If you need help creating a budget, try mi nt.com or Dave Ramsey’s E very Dollar budgeting tool. Focus on the necessities. Keep a roof over your family, make sure your house stays warm, and keep food in the fridge. As much as we all like to head out for dinner, catch the latest movie, or grab the newest phone as soon as we can, those aren’t necessities. And you shouldn’t make those things a priority, until the necessities have been covered. Too many people that resort to quick cash payday loans do so to cover expenses that aren’t necessities or because all of their income has gone to the non­necessities and they’re now in a pinch to pay rent, buy groceries, or pay the electric bill. If you make your necessities a financial priority and you’re smart about allocating your income, you can avoid needing payday loans. Keeping a steady income is vital to ensuring you have the cash needed to pay your bills and buy the necessities. So, make sure you do everything you can to stay employed! Don’t leave your job without having another one lined up. If you’re laid off, start job searching right away. Make connections. Network. And if all else fails, find an easy job that can help sustain you financially in between. Emergencies happen. We all get caught in financial struggles when we need cash fast. Your car needs a new transmission. Your AC went out and it’s the middle of summer. You wound up in the hospital with some hefty unexpected medical bills. These are all stressful situations and the financial burden makes these events even more stressful. 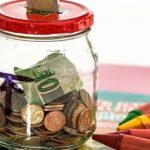 Creating a savings fund that can help out with these unexpected emergency expenses is key to staying afloat during these times. Set money aside every month for emergencies and for months when you need a little extra cash. An extra $50­$100 every month can really add up! The key is to setting this money aside and using it only in case of a real financial emergency. Needing a new dress to go out Friday night is not an emergency. That new TV you’ve been eyeing that finally went on sale is not an emergency, either. 5. Don’t Get in Over Your Head!! You don’t need your dream home today! Your credit card max isn’t a goal. And you don’t need the most expensive car in the lot. Don’t get in over your head! It’s exciting to finally get the things we’ve always wanted, but not when they come at a cost as steep as our financial freedom and control. Live within your means. Find a house that you can more than afford to live in. Try paying cash for a used car. Or if you’re going to have a car payment, get one that you can afford. You don’t need all of the shiny, new features. Pay off your credit cards every month. Use them when needed, not for everything you see that you want. Practicing self­control helps ensure you won’t get in over your head and is key to staying in control of your finances and your future. If all else fails, and you need quick cash fast, reach out to a trusted friend or family member who is willing to loan you the money. This is a much better option than a quick cash payday loan with 400+% APR. Put the loan in writing and set a deadline for paying them back. Having a friend or family member that you can go to when you’re financially strapped is wonderful, but don’t ruin the relationship by not paying the money back in a timely manner. 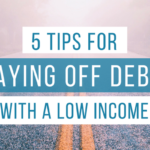 It’s not ideal, but when you’re in a financial hardship, finding a short­term, part­time job can be the difference between winding up in mounds of debt for years and staying in control of your finances and having peace of mind. There’s always tons of opportunities out there. Find a few neighbor’s lawns to mow during the summer. Love pets? Find a great pet­sitting or dog­walking gig at rover.com . Great w ith kids? There’s lots of childcare opportunities on care.com. These are just a few options. So, get curious, get creative, and find opportunities. You know everything that’s piling up in your attic and your garage? Get rid of it!! Host a garage sell and get rid of all the junk you never use anyways. It’s a great way to make quick cash fast! And the great thing about yard sales is that they don’t come with overwhelming interest rates and aggressive lenders, unlike payday loans. If it’s the dead of winter or you’re unable to host a garage sell, head to craigslist! You can sell almost anything on craigslist! Or give eBay a try. It’s been working for millions of other people for years. Whatever your situation, quick cash payday loans are not the only option. Give one (or several) of these options a try and watch as your confidence soars and your peace of mind stays in tact. You are in control of your finances and your life. Don’t let quick cash payday lenders take that away from you. If you’re caught in the vicious cycle of payday loans and are struggling to get out, contact us today. Our team specializes in payday loan debt relief and we’re ready to help you today. Contact us!